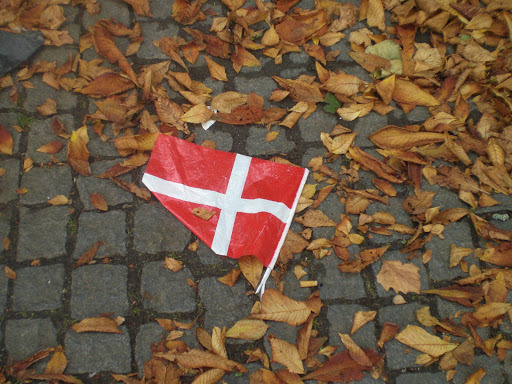 Many of you may have already read and watched this interesting piece on the BBC website about the comparison between living here in Denmark and the UK. I found what the article said about life in the UK a little depressing but I think the conclusions made about life here were quite accurate from my experience. I value the fact my husband isn’t expected to work excessively long hours, has a short bike ride commute and can spend time with my son and me. I doubt we would be like this in the UK, certainly not in our old lives. I hadn’t really thought about it before reading this but it is true that I rarely know what my Danish friends do for a job unless they are teachers. I find that people are much more situational in their relationships – I have mum friends, crafting friends, blogging friends, neighbour friends and I know them well in that sphere but not what they do for a living. I have known people for five years and I have a very shady idea of what they do between 8 – 4 every day but I know where their summer house is and what they like to do at the weekends. I like this – people are not defined by work and money but rather what they are doing with you or in their spare time. The article didn’t mention something that I also value here and that is the nature of trust. When we first moved here our relocation consultant told us that people trust you until you give them reason not to rather than the other way round. I find that when I want to photograph someone’s shop or business for my blog here they simply believe me and are welcoming. They take my proffered business card more out of politeness, whereas in Berlin I found people to be much less trusting. I found it sad that the conclusion of the article rejected the thought of adopting a more Danish approach life in the UK. If you live in Copenhagen, what did you make of this BBC piece? And if you are in the UK does it sound possible for you?